Recommended For: Fans of romance filled with real characters that you really can’t stop rooting for. Wow. That was my first thought upon finishing Eleanor & Park. Wow. 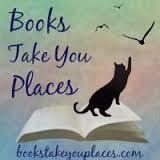 Those of you who pay attention to this blog (or Twitter, OR Goodreads) know that my go to novels are fantasies. I love dragons and strong heroines and all things fantastical. What I do not have much experience with, however, are contemporaries. That’s why when some of my most trusted friends told me that I absolutely HAD to read Eleanor & Park I sort of nodded and made non-committal noises. Read a teen contemporary novel complete with hand holding? No thanks. Then, I went to Book Expo America and stood in line for quite a while to meet Rainbow Rowell and pick up a signed copy of her new book Fangirl, for my friend Kiki. As I said, I was there for a while, and what do you do while waiting in line at BEA? You talk to your fellow line holders! Let me tell you, these fellow readers were Rainbow Rowell FANGIRLS (that’s right, I went there) and so, when it was my time to meet her and tell her the story about how I waited in line to get a book for Kristina I was taken aback at how amazing and gracious this woman was. She looked me in the eye and listened to my story and had a real conversation with me about the whole thing, and it really heightened my experience (plus, she has excellent hair). I got to thinking about some of the things that people were saying in line and realized that MAYBE I could step out of my comfort zone a little, and upon arriving back home, I went to my local library and borrowed Eleanor & Park. And you guys, I devoured it. In one day. The first thing I did upon finishing the novel was thank Rainbow for Eleanor, and I will say it again, I am so thankful for Eleanor. I saw myself in Eleanor. I saw myself in her eccentricities and in the way that people made fun of her for her clothing and for the way she was different from everyone else. I was that girl. I don’t think that it is out of line to assume that at some point or another, we have all been that girl. She was quirky, and she was kind, and she was left to fend for herself in an ugly world. Park was different from Eleanor. He managed to fit in despite his half-Korean background and spends his time as most teenagers do – hanging out with friends, complaining about his (admittedly lovely) family, and listening to music. When Eleanor comes into his life everything is turned upside down and he doesn’t really know what to do about it. It was beautiful, and heart wrenching. Never has hand holding been so romantic. 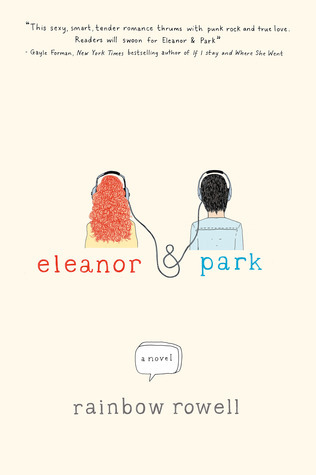 The thing that stood out for me the most about Eleanor & Park was how real their story felt. Sure, it’s classified as “realistic fiction” but I can’t put into words just how realistic it was. Sure, their love story was sickly sweet, but it was also deep and meaningful in a way that anyone can understand. This novel comes highly recommended for all readers, especially for those who don’t usually read contemporaries. This entry was posted in Reviews and tagged books, contemporary, fiction, high school, realistic fiction, romance, teen angst. Bookmark the permalink. Ugh. Fangirl just came into the library for me and I DON’T HAVE TIME TO GET IT!! You know how much I wanna read it, I am dying! I had the same reaction when I finished Eleanor & Park. Wow. This was probably my favorite read of 2013. I’ve read all of Rowell’s books now, and I have loved them all. She’s such an amazing writer. I’m so glad you liked this, read it, even though this is your usual type of book. I am dying to read Fangirl and Attachments, I have them both waiting for me at the library! This is almost EXACTLY how I felt about Eleanor & Park. I found that I could relate to both Eleanor and Park on certain levels. But even better, their romance and friendship just felt so TRUE and so REAL. I am so happy that you enjoyed it! It really was amazing how you can relate to both of her characters, it really brought me back to high school. Rowell is honestly a genius I was so touched and fell so into the story! !